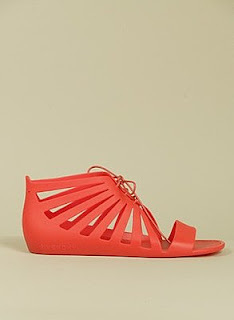 Spring/Summer Trend Alert: Jellies ARE BACK! Like myself many believe to leave Jellies back in the past where they belong! But I have to say I like everything about this new and improved New Age Jellies! Above are Givenchy Lace Up Jelly ($170)! For a more pocket friendly option I love Madeline Yummi Jelly ($20.95) I found on http://www.endless.com/.